This is how you configure the Subscription Update module. This is where you setup everything for your subscription shortcode, like what tags to be applied when they cancel and the logo for the invoices etc. This is where you can configure for the subscription update shortcode. – Log into your account. – Click on Setup -> Misc Settings. – Go to Order Settings -> Merchant Accounts. 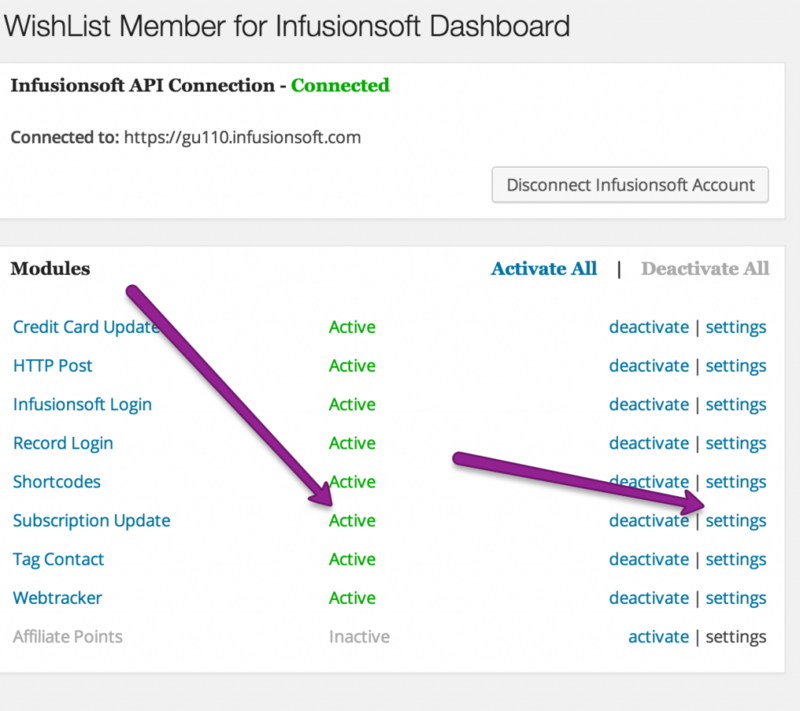 To setup SKU, you will need to go to the regular integration with WishList and configure that as well.